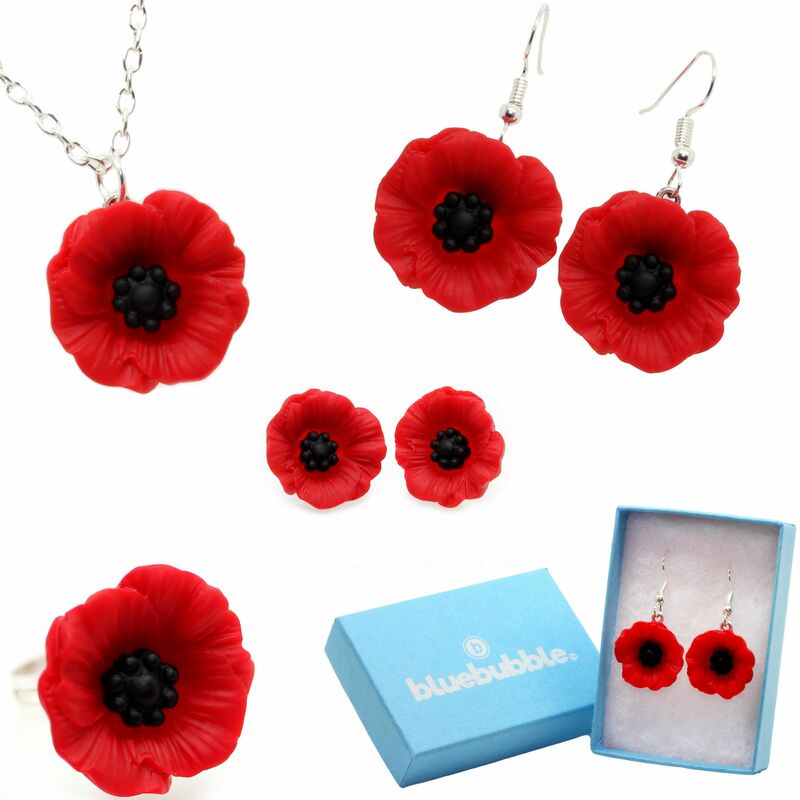 ⓑ Introducing our Poppy Days Collection - Hand Finished by Bluebubble in The Ribble Valley, England. 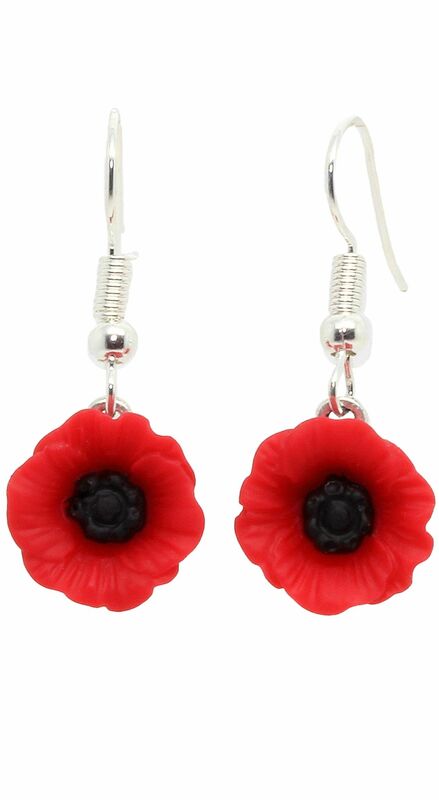 ⓑ Available in 3 sizes our Poppy charms are crafted from resin, hand finished with silver plated Fish Hook earrings. 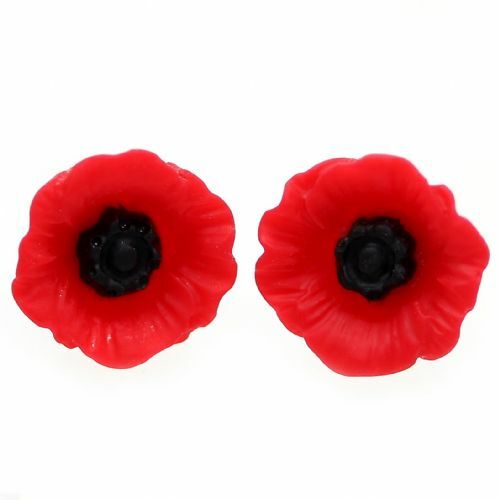 Choose from 12mm, 19mm and 22mm Sizes. ⓑ Perfect for Weddings, Proms and Parties. 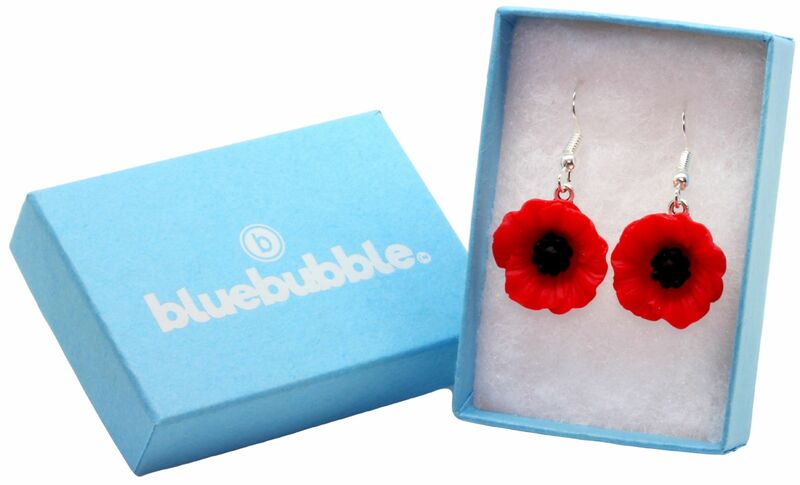 ⓑ Your earrings will come presented in a Bluebubble branded gift box, ready to give as a gift or simply to keep for yourself. 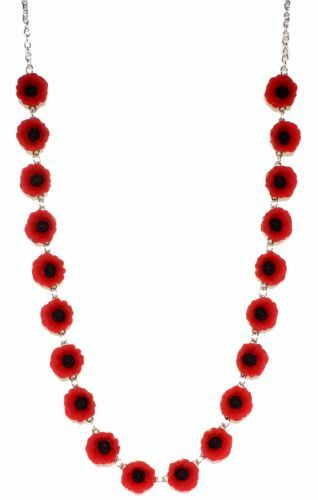 Established in 2003 bluebubble was born from my passion for kitsch jewellery. Based in the Ribble Valley I take inspiration from all around the world and source unique components to hand make into the finished jewellery pieces you see here. Blending a mix of high quality and affordability to produce ranges that appeal to all. Welcome to my world and thanks for sharing in my dream.